On Wednesday, October 3, the members of the Florida Council on Arts & Culture serve as the panel members for the Cultural Facilities Grant Panel Meeting, starting at 9 AM. Funding for cultural facilities is ultimately determined by the allocation of funds by the Florida Legislature and Governor for this purpose. A cultural facility is a building which shall be used for the programming, production, presentation, exhibition of any of the arts and cultural disciplines. These disciplines include music, dance, theatre, creative writing, literature, architecture, painting, sculpture, folk arts, photography, crafts, media arts, visual arts, and programs of museums. The purpose of the Cultural Facilities Program is to coordinate and guide the State of Florida's support and funding of renovation, construction, or acquisition of cultural facilities.  The 2018 Florida Council on Arts and Culture Meeting will be held on Thursday, October 4, at 9 AM. An agenda for this meeting can be found by clicking here. During this meeting one of the highlights will be making recommendations for the Secretary of State regarding the inductees to the Florida Artists Hall of Fame. The above meetings will be held at the Lyric Theatre, 59 Southwest Flagler Avenue, Stuart, Florida, United States, 34994. All meetings are open to the public.